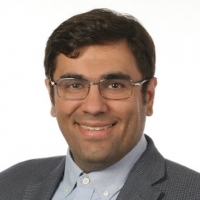 As head of materials development at GE Additive, Dr. Behrang Poorganji leads teams of engineers and scientists focused on alloy design, process development, powder and materials behavior, and characterization to enable customers to accelerate their adoption of additive manufacturing, by providing an end-to-end materials solutions. Before joining GE Additive, Behrang served in different management and technical positions in Japan, Canada, and the US, as a research fellow, lead engineer, and project and program manager in aerospace and automotive companies. He has more than 15 years’ experience in metallic materials development and processing with six years direct experience with additive manufacturing. At GE Additive, he has a passion for revolutionizing manufacturing paradigms and developing solutions for day-to-day challenges of this innovative and disruptive technology. Behrang holds a PhD in metallurgy and materials processing from Tohoku University in Japan and an MBA in general management and strategy from California State University Channel Islands.